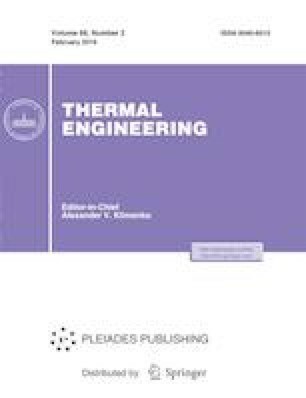 The article presents results of investigating the influence of elastic damping devices that secure the rotor and the stator under high-amplitude oscillations under unfavorable development of an accident, e.g., upon rubbing of the rotor against the stator. Motion equations for the oscillations of the rotor in the clearance between the rotor and the stator and the oscillations of the rotor rubbing against the stator are written at adopted parameters of the stator considering not only the rigidity of the stator but also the energy losses under deformation of the stator components during the oscillations. Sudden unbalance of the rotor is taken as the initial excitation. A case of severe unbalance of the rotor is examined when, under oscillations accompanied by rubbing, the damping devices experience fairly severe strains in different rolling modes. The investigations were conducted using a rotor that had been affected by accidents accompanied by destruction of the bearings under rubbing in the absence of damping devices. A dynamic model of a symmetrical two-bearing rotor is considered. ADP-2400 shock absorbers served as dampers; the dynamic impact properties of the former had been determined using shock-testing machines. A possibility of the development of self-excited oscillations in the form of asynchronous rolling is considered depending on the absorption factor of the elastic damping devices. It is shown that no asynchronous rolling develops at definite absorption factor values. The oscillations of the rotor are restricted to the synchronous rolling at rotor–stator contact interaction forces that do not endanger the integrity of the turbine plant structure. The elastic damping devices with absorption factors above certain values eliminate the possibility of the development of self-excited oscillations in the form of asynchronous rolling and a practically unlimited increase in the rotor–stator interaction forces and, consequently, eliminate the danger of destruction (self-destruction) of the power-generating plant. In a sense, we can speak about the damping capacity of elastic damping devices during the evolution of an accident accompanied by rubbing of the rotor against the stator. The rigid mount of the stator on the foundation in the absence of damping devices increases the risk of the catastrophic development of the emergency considerably reducing the evolution time of the rolling and the possibility of using safety devices. A conceptual scheme that systemizes the general regulations for preventing TP accidents is provided.